This ground floor, 1,700 square foot brand new condominium is bright and spacious with high twelve foot ceilings, beautiful decorations and furnishings. Door locks: each bedroom has separate keys to lock bedroom doors if needed, stay in steel appliances , 2 terraces: one for master bedroom and livingroom facing beautiful lagoon where you can snorkel and see beautiful fish. Only few steps away from the beach. 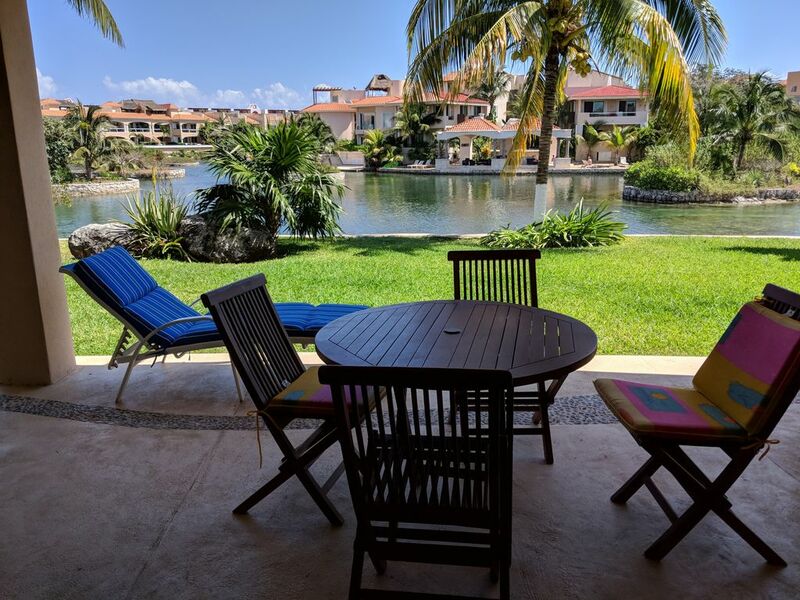 You should choose this property because it's located in one of the best area in Puerto Aventuras. Condominium situated right on the lagoon with nice and peaceful view of the water and only 5 min walk to the beach. When you wake up and go outside to have your breakfast the sounds of the birds will start your day and nice breeze will make you feel at home.